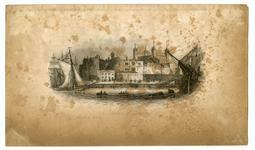 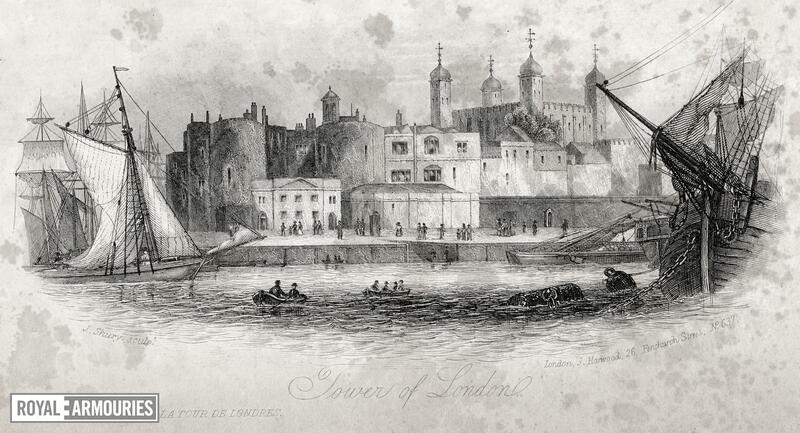 Steel engraving of the Tower of London (La Tour de Londres) from the river, with miscellaneous shipping seen on the Thames. Published by John Harwood, 26 Fenchurch Street, 'No. 637' about 1840 probably for 'Scenery of Great Britain'.